Nacer Bouhanni (FDJ) took the bunch sprint victory on the opening stage of the 2014 edition of Paris-Nice on Sunday despite being caught up in a crash earlier in the day. John Degenkolb (Giant-Shimano) came home for second after his team did much of the work at the front of the peloton in the finale, with Gianni Meersman (Omega Pharma-QuickStep) in third. Bouhanni’s win puts him in the early overall race lead. After claiming bonus seconds in the two intermediate sprints, Meersman is second overall with Degenkolb in third. Sky leader Geraint Thomas starts his Paris-Nice campaign well in fifth overall after placing third in the first intermediate sprint. From the gun, Christophe Laborie (Bretagne-Seche Environnement) attacked the bunch in Mantes-la-Jolie and pushed out a solo advantage over the peloton of nearing 10 minutes as the day unfolded. By the half-way point, Laborie’s time gap had been whittled down to five minutes and he was caught with 50km to go but he ends the day with the mountains classification jersey after scooping up maximum points on the day’s two categorised climbs. 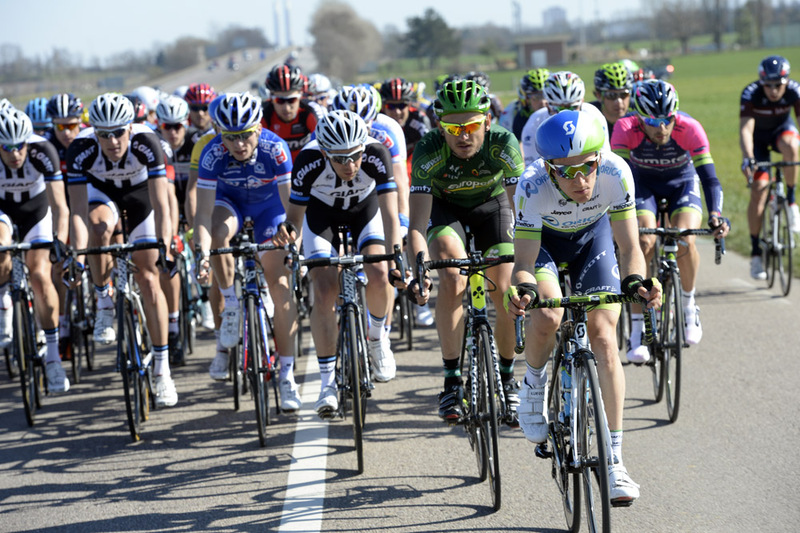 Several crashes occurred with big race nerves showing in the bunch. Bouhanni was one of the early fallers, but remounted quickly and was evidently unfazed by the incident despite a bloodied knee. More serious was a sizeable crash with 22km to go which served to split the peloton. Andy Schleck (Trek Factory Racing) one of a number of riders to get caught on the wrong side of the split caused by the incident and failed to keep in touch with the chase group. A surprise abandonment was American Tejay van Garderen (BMC Racing), who quit the race after just 71 kilometres suffering with illness. British rider Steve Cummings is likely to step up to the team leader role for BMC – he’s already shown he has good early season form after winning the Tour of the Mediterranean. 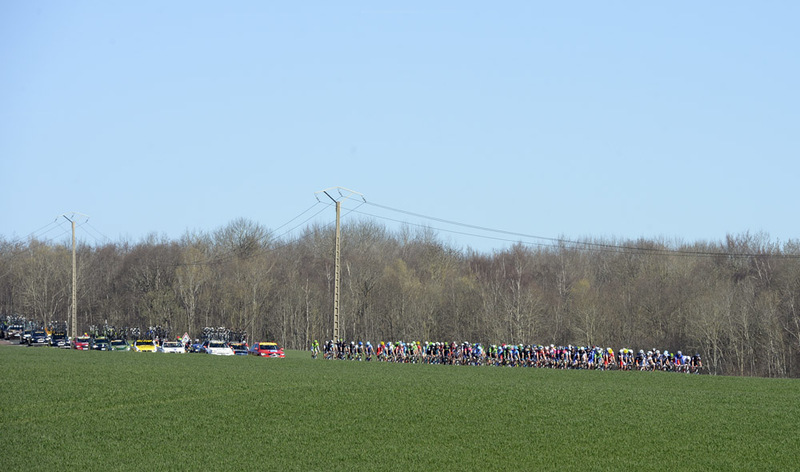 On Monday, the riders will tackle stage two from Rambouillet to Saint-Georges-sur-Baulche over 205 kilometres. 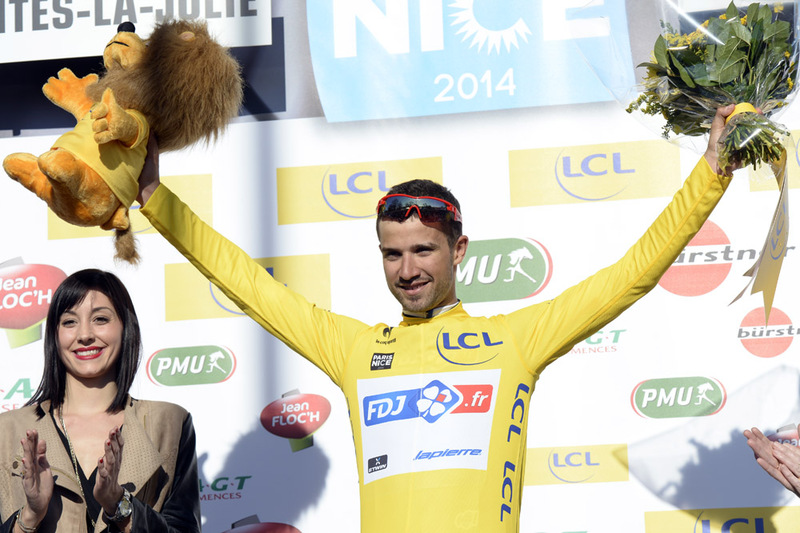 Paris Nice 2014: Who will win?